It's not on any Top 10 restaurant lists. But you should at least try to eat lunch at The Original for historic reasons. Because this was the first Mexican restaurant in the United States. When it opened, it did not face the Riverwalk. 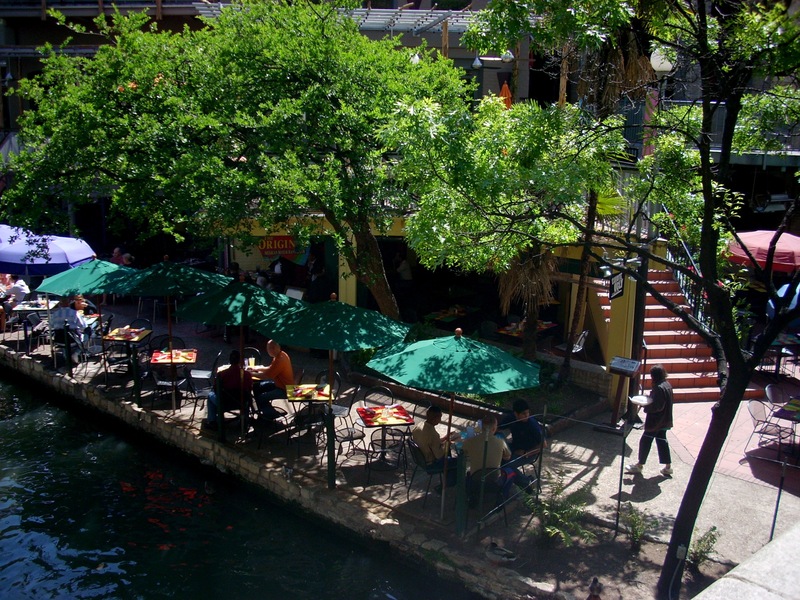 Like most businesses in downtown San Antonio, it faced the street, ignored the river most of the year, and during the annual floods considered it a nuisance. The Original served customers at two street locations. Only after the Riverewalk was artfully landscaped and channeled did businesses clean out their basements and open doors and patios to the water. 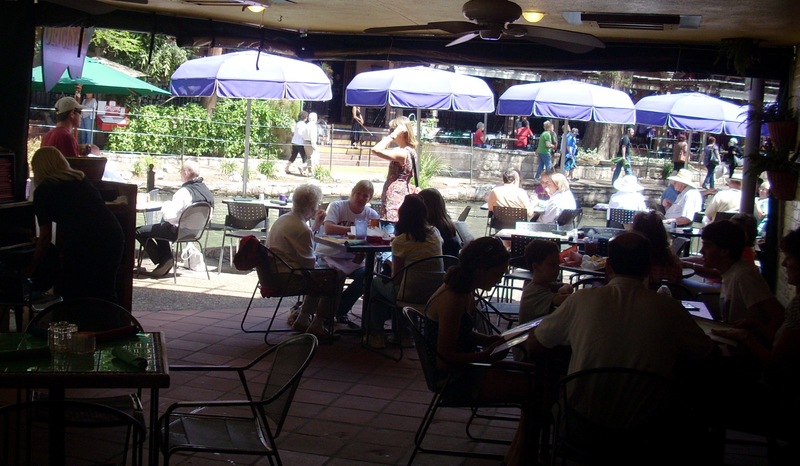 Only after Casa Rio's proved that a Mexican restaurant could prosper from Riverwalk customers did The Original decide to get into the action. However, it's not a bad place to stop for lunch. They have a heavily shaded location, with one of the most scenic arched bridges only a few steps away (the photo upper right was taken looking back at the restaurant from the bridge). 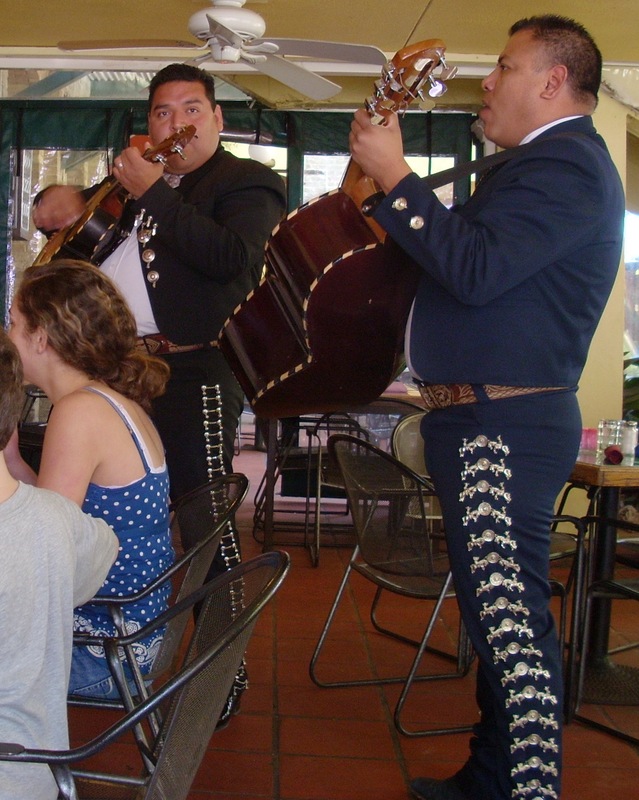 The Original has a traditional Mariachi band roaming around serenading diners. It was founded by the Farnsworth family across the river on LaSoya Street in 1899. They basically created the definition of Tex-Mex commercial food. In 1960 the Farnsworths retired from restauranting and the new owners moved the business over to its present location. Two years later they opened their lower level to face the river. Their top menu items are the Fajitas and Quesadillas, and their Cheesecake is very competitive. .